Princeton Review has published this compendium the size of a typical phone book: 1,037 Practice Questions for the New GMAT, 2nd edition. Gosh, 1037 may seem like a gigantic number of questions, until you consider that OG13 has 907 practice questions (including the Diagnostic & five question sections) — many more, if you count every AWA prompt as its own question! 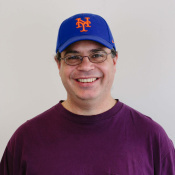 The OG has 957 if you count the 50 online IR questions that come with the OG, but that’s not quite fair, because the total of 1037 doesn’t include the 75 online questions that come with this PR book. It’s important to realize what this PR book is, and what it isn’t. 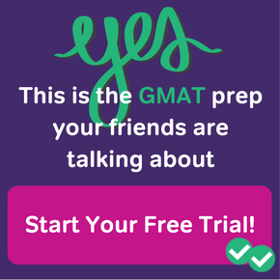 If you are looking for lots of beginning-level focused practice, organized by subject, it’s OK, but if all your GMAT prep consists of focused practice, that’s a huge problem. More on this below. The book begins with a high quality Diagnostic Test, a test the size of a full GMAT — an AWA prompt, a full 12 item IR section, a full 37-question Quant section, and a full 41-question Verbal section. The questions are strong — interesting, challenging, in diverse topics, and the explanations are thorough. I would give this section, in isolation, a grade of an A. If you are looking for a good practice GMAT to take toward the beginning of your practice, this is a very good choice (of course, unfortunately you would have to buy the whole book to get this single practice test). Notice: this is the largest sustained section of mixed content questions in the entire book. The book actually does a pretty good job explaining the IR section. They give a very good introduction to the section; among other things, they do a thorough job of explaining the IR Calculator. Then, they explain well each of the four IR question types — Table Analysis, Graphic Interpretations, Two-Part Analysis, and Multi-Source Reasoning —- showing the variation within each type, and then have a few practice questions for each type. Of course, anything in print format is not going to capture the online experience of IR, but this is a good solid 80-page introduction to IR. Not bad. This is a major chunk of this book — over 300 pages of this 760-page book. I like the “number type glossary” near the beginning. The format of virtually the entire section is — explain topic #1, then practice questions on topic #1; explain topic #2, then practice questions on topic #2, etc. Some of the topics are content, and some are strategies, so the reader gets to practice both. The explanations are clear, if somewhat rudimentary and conventional (i.e. not too different from the way your high school text would have explained it). If you are a math-phobe, you probably will find reassurance and clarity in these focused treatments of topics. The trouble is, while nurturing someone who is at a basic level of math, this book does relatively little to prepare a moderate or advanced math student for excellence. Yes, a small portion of the questions are tricky, but virtually all the math is focused practice. I will discuss this important point further below. The section on Reading Comprehension covers very basic points of RC strategy, and then throws the reader into passages. Admittedly, they have 34 passages, but not all of them have the layers of conflicting perspectives characteristic of GMAT RC passages. A beginner who doesn’t understand anything about RC will not find a whole lot of support in the introductory discussion, but this book does provide a large bank of relatively easy passages. These passages are fine as a kind of easy “warm up”, as long as one doesn’t imagine that they would fully prepare one for RC on the real GMAT. The Sentence Correction section follows the same plan as the Quant section — explain concept #1, then test questions about concept #1 only. The explanations are anemic, and then the bank of practice questions that follows test only this idea. This is a huge problem for SC, because typical GMAT SC questions, including most of the SC in the OG, test everything at once — this book only has twelve mixed drill SC at the very end of the section. The six focused concept areas are: subject-verb agreement, verb tense, pronouns, parallelism & comparisons, misplaced modifiers, and idioms. In the idioms section, they list no idioms — apparently if you don’t know idioms, you need to get the practice questions in that section incorrect and then read the solutions for the correct idiom. Those six areas are only covered in their rudiments, and nothing more advanced about SC is covered. The SC section is arguably the low point of this book. If you know zero about SC, and want your hand held through basic focused-practice, perhaps this section would help you. If you have any aspirations for SC beyond minimal competency, this book will not support you in the least. The Critical Reasoning section is probably the strongest of the three Verbal sections. They do a reasonable job of discussing the elements of arguments and possible flaws in arguments, and they do an adequate job of discussing each of the question types: weaken, strengthen, assumption, inference, evaluate, structure & boldface, and resolve/explain. Of course, as with Quant & SC, here they also group practice questions by type, each batch corresponding to the discussion that precedes it, although arguably, for CR, this is not nearly the problem it is for math or the disaster it is for SC. Many of the arguments are GMAT like — this PR book would prepare you for moderate success on the GMAT on CR questions. After these three generous sections on the three Verbal questions, the book closes with a modest six-page section on AWA. 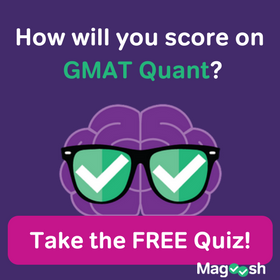 Fortunately, the AWA is probably the least crucial part of the GMAT, so the fact that they give it short shrift is understandable. I would argue that the single biggest flaw of this book is — it plays into a specific pattern that students often want and yet don’t realize is the worst thing for them. Aside from the Diagnostic Test, about 90% of the questions in this book are grouped by topic. The student will read about this topic (how adequately depends! ), and then, presumably in the “zone” for that question, will practice it. Students often vastly underestimate how much this “in the zone” level of understanding falls short of what is needed in the high-pressure, mixed content of the test situation. Students naively think: I’ll just practice each topic by itself, and at the end, I’ll put it all together. In doing so, they fail to realize the significant leap in understanding required to handle each new topic cold, with no preparation, as it arises in mixed review. That is why we strongly recommend mixed review for the vast majority of one’s GMAT preparation. Thus, this PR book would be in no way adequate for the sum total of one’s GMAT preparation, and would only be appropriate either in the very beginning stages or when one needs a bit of brush-up on one topic in particular. I could see recommending this book to a beginner, someone who wanted to take a practice GMAT early in their preparation, someone who hadn’t seen math for a while and wanted a very gentle introduction to the various questions. This book would be OK for these purposes, assuming that after the warm-up, the student moved on to significantly better GMAT prep material for their actual GMAT preparation. If you already have a clue about the GMAT, and are aiming for a score above 700, this book would not be much use to you. 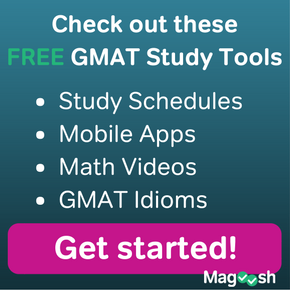 For other reviews (good and bad) check out 2013 GMAT Book Reviews.